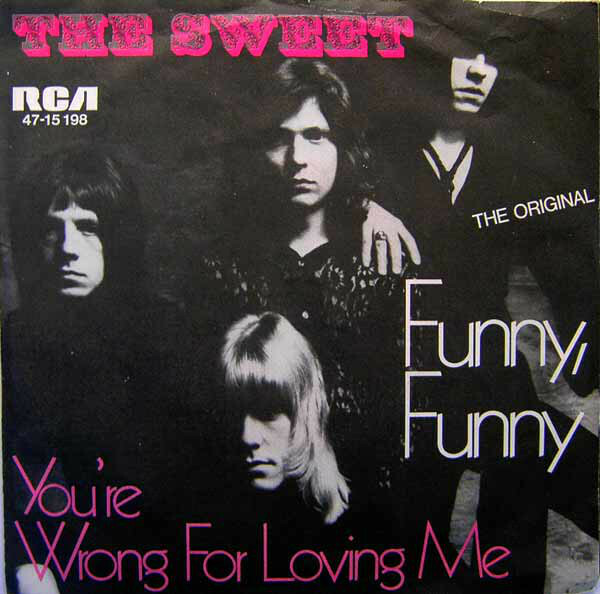 Can it really be half a century since the pre-glam incarnation of The Sweet threw their first chord shapes, and 45 years since the era-defining ’Blockbuster’ saw the band in their pomp top the UK charts? 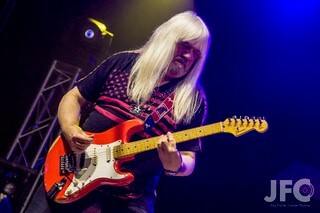 What’s more, it’s been 55 years since Sweet guitarist Andy Scott’s first gig, back in his native Wrexham, North Wales. To help mark those mighty milestones, Andy’s out this month with the latest Sweet line-up – also featuring Bruce Bisland (drums, vocals), Pete Lincoln (lead vocals, bass) and Tony O’Hora (guitar, keyboards, vocals) – to celebrate an outfit that managed 10 top-10 hits between 1971 and 1978 and were key players in the glam-rock movement. To get in the mood for The Sweet Blockbuster Glam Christmas Party, I had a nostalgic morning on my metaphorical dansette, spinning ‘Teenage Rampage’, ‘Ballroom Blitz’, ‘Blockbuster’, ‘Action’, ‘Hell Raiser’ and ‘Wig Wam Bam’, to name but half a dozen Sweet inspirations. And while Andy wasn’t in the band from day one, he provides a link threading past to present, having made vital contributions throughout Sweet’s journey, adding vocals and keyboards as well as those memorable six-string licks. Based ‘where the Ridgeway and the Vale of Pewsey join’ in Wiltshire since leaving London in 1991, it was ‘absolutely hacking it down’ when I called Andy, his hopes of catching the cricket from Sri Lanka on the box scuppered by bad light there too. But he was about to get out on the road again, attentions once more focused on The Sweet, as they have been so often since 1970. So, in the immortal words of Brian Connolly on ‘Ballroom Blitz’, are you ready, Andy? Actually, it’s been 40 years since vocalist Brian quit the band, and 21 since he died, way too young, the same going for drummer Mick Tucker, who passed away in 2002 after a battle with leukemia. Did such moments ultimately inspire Andy to make the most of life? Do you think you gave it as much as them, socially, at times? There are those who might think Sweet were more a creation of the Nicky Chinn and Mike Chapman pop factory production team. But you were songwriters before, through and after those years. “Well, yeah. I came out of a group called The Elastic Band in the late ‘60s, and while we were touring, I bumped into Sweet once on the road. 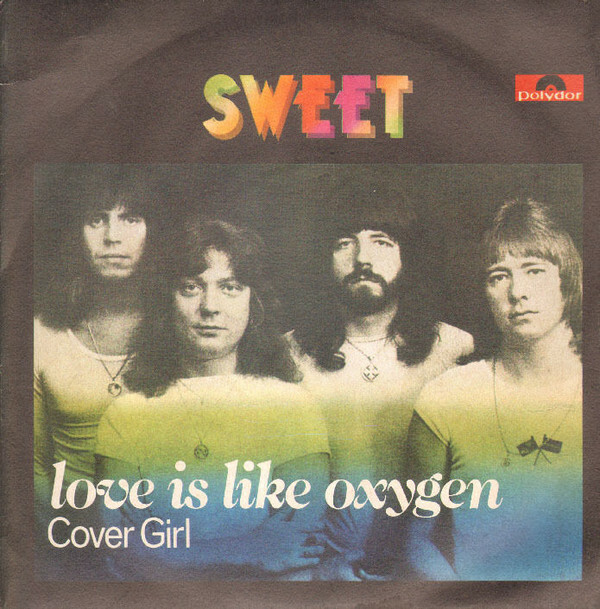 We were doing a BBC session live in some coastal resort, Great Yarmouth or maybe Weston-Super-Mare, and Sweet came along with one of their early EMI singles. “They had a couple that got played a lot on the radio, but it just wasn’t successful. Then I had a problem in a band where the lead singer decided to leave and join the Love Affair, a bit of a kick. So my brother (Mike Scott) and I joined a band down in London, Mayfield’s Mule, which is why we ended up down there … and within six months I was in Sweet. Mayfield’s Mule recorded three singles, their self-titled album released in Uruguay of all places. But more wide-scale fame was just around the corner. What does Andy remember about his Sweet audition (which according to bandmate Steve Priest involved him blowing a fuse in front of the rest of the group and their joint-managers)? “I was living in Shepherd’s Bush, and they chose a rehearsal room – I think it was The Cabin in Golborne Road, just a couple of hundred yards from where I was, and they knew me there. We kept some of our band equipment there. “It was getting to dusk that evening, and I asked Mike Chapman – who immediately recognised me, he’d been in a band called Tangerine Peel – if I could go in next, in case somebody sees me. The band I was in weren’t doing anything, but nobody had told me we didn’t exist anymore. And rather than cause friction, he said yeah. Is that right that your live debut with The Sweet was at the Windsor Ballroom in Redcar, late September 1970? “D’you know, I’m not sure, although I’ve got a couple of guys who do our statistics and they’d know. If you’ve seen that, it could be right. “In Redcar they had the Jazz Club as a gig, where all the major acts played – like Led Zep and Queen – and I played there many times with The Elastic Band. The same promoter, when he heard I was in Sweet, booked us, but for a hotel gig rather than the jazz club, a Saturday night in a big hotel on the seafront. As I understand it, your very first show was almost seven years earlier back in Wrexham, playing bass at St Peter’s Hall with The Rasjaks in November 1963 – 55 years ago. “Oh, that may well have been the very first gig, but one I remember was on New Year’s Eve. We had an older guy as singer and ended up being his backing band. We had no real name, but he knew someone at the chemical works on the outskirts of town, and they had a New Year do. “He said, ‘You should book my band’. They agreed. Little did they know we were so inexperienced. We hardly had enough material. With the half-dozen instrumentals we knew and half-dozen vocal songs, we barely had enough time for a 45-minute set, let along four hours. “When we got there, the microphone wouldn’t work, so we ended up playing the same instrumentals twice. We took a break and by then people had eaten and wanted to dance a bit. We were mainly playing Shadows songs and (Nero & the Gladiators’ Edvard Grieg-inspired) ‘In the Hall of the Mountain King’, played rather badly. What did that do for your ego? 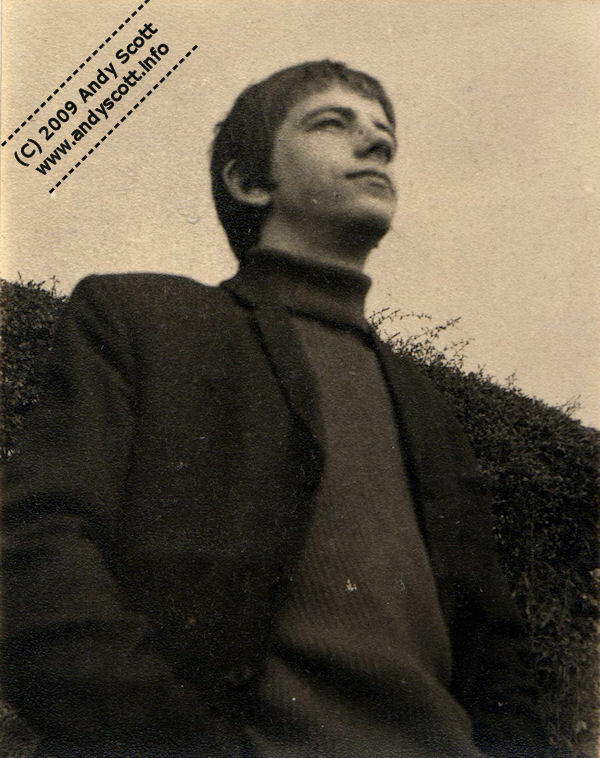 There were also formative spells with fellow North Welsh bands the 3Ds, Guitars Incorporated, Missing Links, Saints, and ForeWinds, before – three and a bit years after his Rasjaks debut – a defining moment while playing with the Silverstones (originally the Silverstone Set), supporting The Jimi Hendrix Experience in Manchester, January ‘67. “We were in the best band in Wrexham, and there was a lot of good talent there in the early to mid-‘60s, but there was one band slightly outside town, heading towards Shropshire, called the Silverstones, gigging in places like Birmingham, Manchester and South Wales, as well as the odd gig in Wrexham. “They had ambition, and the lead singer was later in The Elastic Band with me, his mother the manager. They had proper equipment too. When I joined they had Gretsch guitars, Rogers drums and Vox amps. I was thinking I’d not been in a band as together as this. “Before then it had always been a bit more makeshift, but we went on to win Opportunity Knocks half a dozen times, and from there we were picked up by one of the major agencies in Manchester and used to do this gig in the centre there, at the CIS building, above a Burton’s. “It was a big venue, the New Century Hall. I don’t think it’s there anymore. It was like a soul night every Thursday. Because Jimi Hendrix was black, someone – not very bright – decided to get his band up for this soul night. He was just having a hit with ‘Hey Joe’. “The week before they’d had The Drifters and the week before that The Four Tops. But then – here we go – Jimi Hendrix comes on and almost kills half the audience stone-dead, while I’m in absolute raptures, thinking, ‘What the hell is this? This is fantastic!’ I’m trying to tell people not to leave, just stick with this. 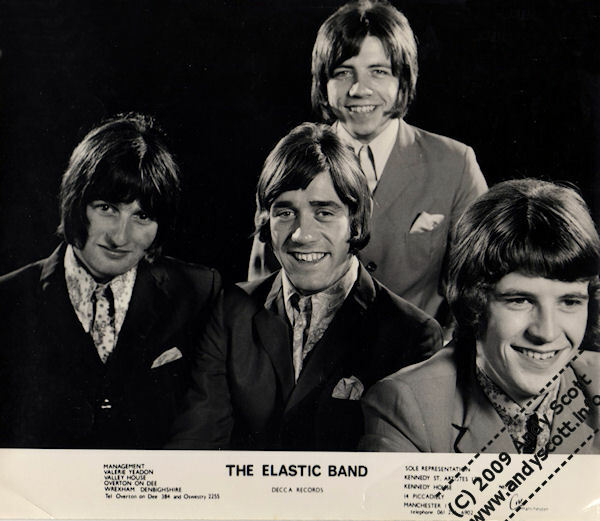 The new outfit, The Elastic Band, became prime movers on the UK psychedelic rock scene, Andy joined by his brother Mike on bass, Ted Yeadon (aka Gus Eadon) singing, and Sean Jenkins on drums, splitting in 1970 when Yeadon accepted an offer to replace Steve Ellis as the Love Affair became L.A. They did get to record some singles and an album though, Expansions of Life, making another LP as The Cool, Pop Sounds. A spell with Mike (bass, saxophone) followed in the backing band for The Scaffold, working with Paul McCartney’s brother Mike McCartney, aka Mike McGear. Do they keep in touch? “I was in touch with Mike earlier this year. He did something at the Portmeirion Hotel, where they shot The Prisoner, an evening there promoting his book, doing readings, answering questions. So we had a little chat. “The guy I’ve kept in touch with more from that band was Roger McGough, who lived in Barnes, not far from where I was in Maida Vale. We met a couple of times and the year before he came to Devizes, near where I am now, for a book festival. That would be good … if the position doesn’t go to John Cooper Clarke. He certainly was, including a rock’n’roll covers album. And who knew he had a singing voice on him? Talking of heroes, going back a year I was lucky enough to speak to a close associate of yours over the years, another of my childhood heroes, Slade’s Don Powell. A lovely fella … although I had to hold the phone a bit further from my ear for him. 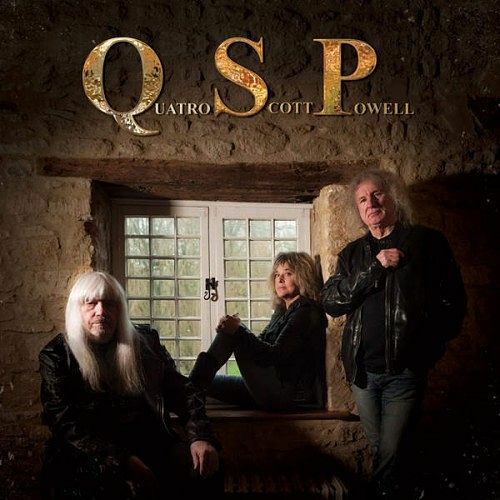 Andy, Don and fellow ‘70s glam legend Suzi Quatro have played shows together and recorded an album as QSP, which seems like a lot of fun to me, and very bluesy. “We wanted to get together and go back to our roots. You all start somewhere, and you never forget that. It was down to Suzi’s husband, Rainer (Haas). I produced a couple of her albums and we’ve done TV shows in Germany. Any chance of some dates together over here? That banter between you comes over in the footage I’ve seen. You seem very much at ease with each other. Looking back, how important do you think the glam rock label was to you? You were kind of lumped into all that, but seemingly gladly so. Yet later your more rock leanings shone through, as they did with Slade. “I keep trying to say to people, if you weren’t there you won’t realise how short-lived that era was. It didn’t last long. I think Marc Bolan towards the end of ’71 – whether you give him credit or whether he’s to blame – that’s where it kind of started, when he decided to stand up off his little cushion, go electric. Then there was the outrageous sparkly stuff, which only The Tiller Girls on Sunday Night at the London Palladium used to look like. “Also, David Jones – Bowie – tried lots of things in those first couple of years, and in 1969 had that fantastic hit with ‘Space Oddity’, and before that him and Marc had been in a band. Someone tried to put the two of them together, and that ain’t gonna work – they’d both want to be the front-man. 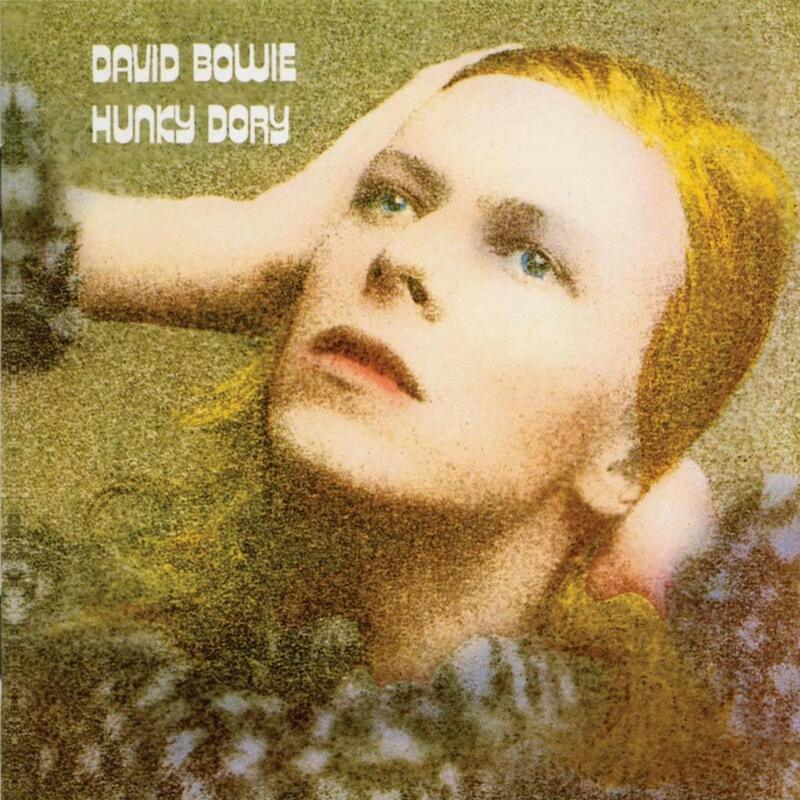 “But then he did that album, Hunky Dory, and … well, that was never off my turntable. So all of a sudden, Sweet, in our second year, ’72, when ‘Little Willie’ and the tongue-in-cheek stuff was being released, that’s when we started getting involved with the dressing-up box. Prime contenders Slade were soon moving into motion picture territory, their 1975 film Flame not quite what the fans expected. But it’s stood the test of time. “That was ahead of its time. And there was that film with David Essex, Stardust. They wanted us to do a film, but we were being shoved in with other bands. There were people wanting to make films like Rock Around the Clock, more of a showcase. “There was one with The Rubettes and a couple of other bands. By the time any others were being made – and Brian really wanted to be an actor – I remember saying, ’Offer us something different’. “There was also that Dave Clark Five film – brilliant! When you think where they came from in the ’60s, that film was really good. So it was possible to make a film like The Beatles’ A Hard Day’s Night and Help – they were different from just being your bog-standard, ‘Set up over there lads and mime a bit’. At this point I mentioned a complimentary discussion on a friend’s Facebook page that morning about the might of the band’s output during that period, a run of impressive singles. You’re not always given kudos for that. “Well, (we are) in Germany and Scandinavia and Australia. And to a degree America – where everyone knows the songs but don’t really remember the band. Steve Priest kind of summed it up. He said our manager at the time didn’t want us to do too much TV at the beginning. He wanted to keep it in a kind of bottled-up way, so we could got to the point where we could demand a TV special rather than just be guests on a show. I was watching the ‘Teenage Rampage’ promo before I picked up the phone. That really takes me back … despite me being barely six at the time of its release as a single. “Well, we‘ve got somebody very organised now in Germany, a company called Aviator who have put together a YouTube Sweet official page, where you’ll get all the high-quality, original footage. “A lot of that footage was missing. Whichever way you look at it, the band paid for all those promos in one way or another, so they’re all lying around gathering dust, probably since RCA shipped out of their Central London offices. A lot of stuff went in the skip. “People like Nicky Chinn would probably have said, ‘What do I need that stuff for?’ And nobody told us. It’s scandalous. So when I travel around the world and do TV shows, one of the first things I ask is, ‘Where’s your archives guy?’ I have a chat with them and they say, ‘Whatever I’ve got, I’ll stick it on a super-HD DVD for you’. That’s how we’ve found some of our footage. 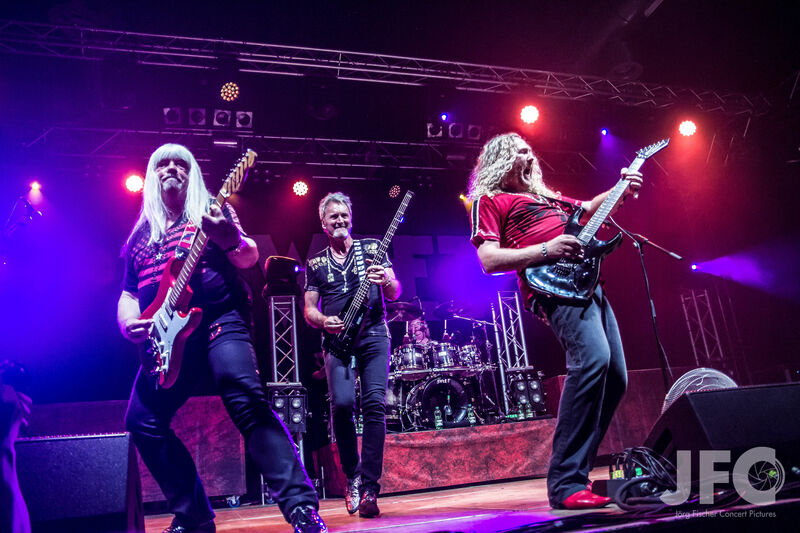 Seeing as you mentioned him before, I have to ask – is there animosity between you and former bandmate, Steve Priest, who has his own Sweet line-up? “There’s certainly no animosity … I don’t think … between us. Steve sent me an email a couple of weeks ago. He’s had his issues, and I’ve had mine, but … If the moment was going to happen it should have been this year for the 50th anniversary. It didn’t though, and I can only say that if we do anything in the next year or so, so be it. And how about Andy Scott at 69? Have you slowed down? You’ve had your health battles, not least kicking prostate cancer into touch. Did that give you a different world view or change your approach? “It’s bound to. I was just about to turn 60 and was invited to play on stage with Spinal Tap, alongside Justin Hawkins from the Darkness and Keith Emerson, another who’s no longer bloody with us. So sad. “We were all playing bass on the song, ‘Big Bottom’. And our next foray was to do a festival in Malta. That was cancelled, but we decided to go anyway. It was swelteringly hot, and I’d been suffering diverticulitis, which is not very pleasant, having deep stomach pains. We mentioned anniversaries, and it’s now 40 years since Brian left the band, although it wasn’t made official until the following January, 1979. What for you was the lesser-known highlight of all those years? “Well, I’ve got to say, Brian’s last appearance, on ‘Love is Like Oxygen’. We’d been having real problems – and this is one of the reasons why Steve and I were singing more on albums – trying to get a performance from Brian and keep him away from the gin or whatever it was. “I said to our tour manager, ‘If you’re going to bring him in, try at 11 in the morning and we’ll see what we get’. That day he arrived looking fresh and clean, had a cup of coffee, went in and within a couple of takes … I sang a lot of other stuff, but the verses are Brian’s, and it was a fantastic performance. Away from The Sweet, you still wear many other hats. Are you still involved in producing artists? “I am. But right now we’re doing this tour of Britain, which over the last three years has turned from four or five gigs to six or seven, and now 12. I’m starting to think we might well have a tour of the UK every December now. “It’s mainly small halls and rock clubs, including one in London, the old Irish Club, The Hibernian in west Kensington, now known as Nell’s Jazz Club. Last year we sold it out, and this year sold the first night out almost straight away so put a second on (December 19th/20th). It’s fantastic there, with a really great vibe. It takes you back. You’ve had some big names there too. “Oh yeah, some stellar stuff. We had Brian May one year, Roger Taylor the next, and he brought Jeff Beck along. We’ve had 10cc, we’ve had the Boomtown Rats and Squeeze, last year Billy Ocean, Paul Carrack, The Stranglers. They were brilliant. 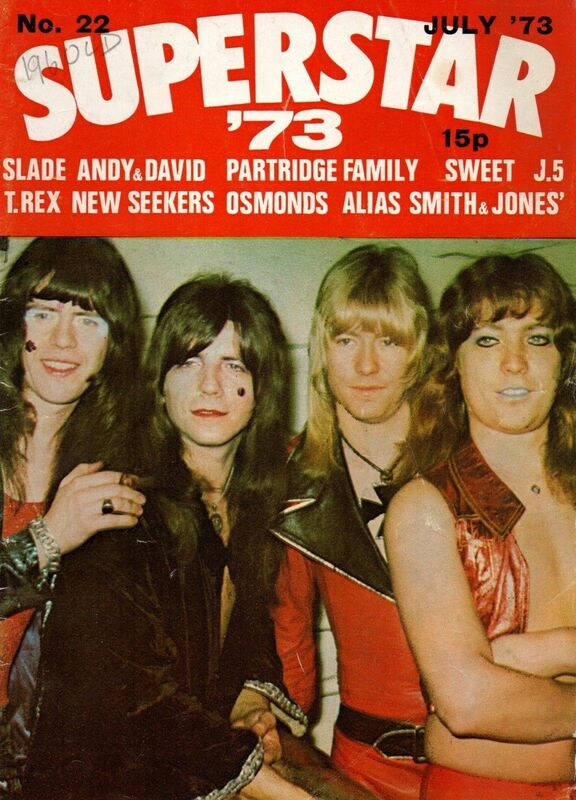 Cover stars: Sweet take the front for SuperStar ’73. From the left – Mick, Andy, Brian, Steve. Talking of that Black Country venue, I had a very pleasant chat this year with someone else who’s played there in recent years, another Slade legend, Jim Lea, another prostate cancer survivor, like yourself. You’re a family man too, aren’t you? Do you get back to your old North Wales roots often? He proved it at that point, not least when I revealed I’d made a few trips of my own to the Racecourse Ground to see his side take on my beloved Woking. And I later learned via http://link2wales.co.uk that in 1977 a Sweet appearance on Top Of The Pops coincided with one of his club’s famous FA Cup runs, Andy playing with a giant red and white rosette on his jacket. Finally, I told him that I thought I knew the other reason he’s out and about this month. I mean, he couldn’t let his old pals Dave Hill and Don Powell’s Slade – also gigging this December – have Christmas all to themselves, could he? 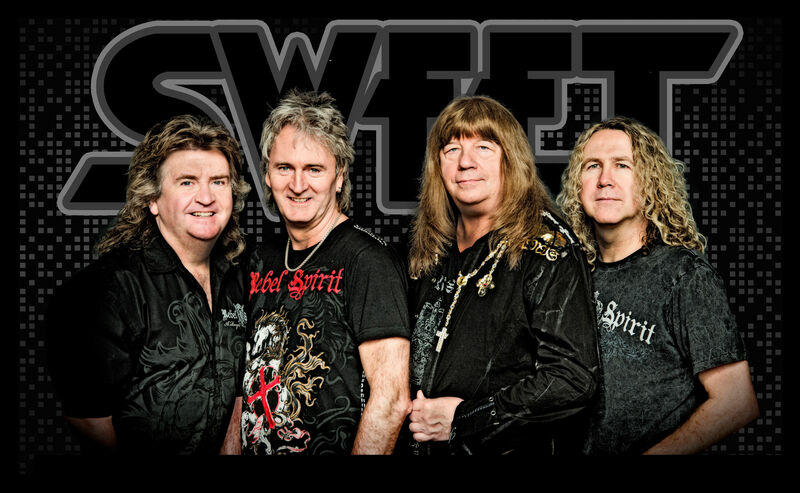 Live Wires: Sweet, 2018 style, with Andy Scott, left, joined up front by Pete Lincoln, centre, and Tony O’Hora. The Sweet’s 2018 festive UK tour continues at Wylam Brewery in Newcastle (December 5th) and runs through to the Welly Club in Hull (December 22nd), including visits to Blackburn’s King George’s Hall Windsor Suite (December 8th) and Warrington’s Parr Hall (December 21st). Tickets for the last mentioned shows are available via 08444 780 898 or the Gig Cartel, with more tour dates, ticket details and much more about the band on their website. There’s also some great background about Andy Scott via his own site. And make sure you come back to this website again this week for the latest WriteWyattUK feature/interview starring Andy’s old pal, Slade’s Dave Hill. This entry was posted in Books Films, TV & Radio, Comedy & Theatre, Football, Music and tagged Andy Scott, Ballroom Blitz, Blockbuster, Brian Connolly, Bruce Bisland, Don Powell, glam rock, Jimi Hendrix Experience, Love Affair, Mayfield's Mule, Mick Tucker, Mike Chapman, Nicky Chinn, Novatines, Pete Lincoln, Redcar, Rock against Cancer, Roger McGough, Slade, Spinal Tap, Steve Priest, Suzi Quatro, Sweet, Teenage Rampage, The Elastic Band, The Scaffold, The Silver Stones, The Sweet, Tony O'Hora, Wrexham, Wrexham FC. Bookmark the permalink.